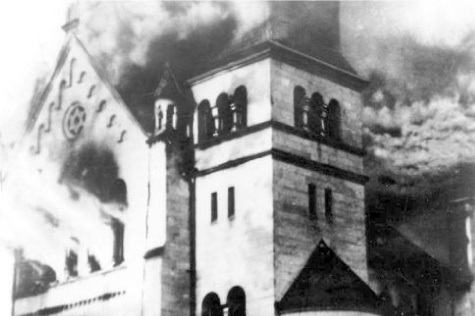 THE title of Arthur Miller’s 1994 play come from Kristallnacht, Crystal Night, The Night of Broken Glass when the Nazis staged a violent pogrom against Jews throughout Germany and Austria in November 1938. The crystals? 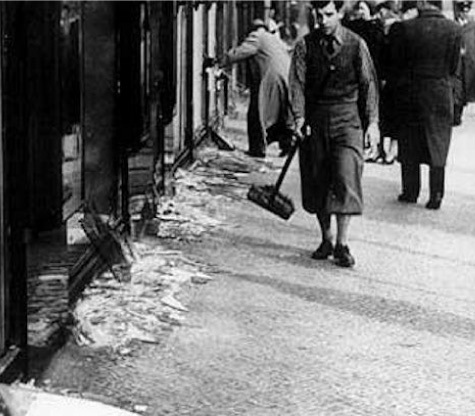 The shards of shattered glass from attacked and looted Jewish homes and businesses. Berlin might have been almost 4,000 miles from Brooklyn but for Sylvia Gellberg it was all around her in newspapers, on the radio, in her mind. Sylvia, played with splendid control and emotion by Mary Ruane, has become paralysed. It was sudden, unexpected and came upon her just as she was leaving her house to visit the cinema with her husband Phillip. The only problem is that Dr Harry Hyman, and the specialists he has consulted, can find no physical reason, which means the cause is psychological and to find the reason, and a solution, demands peeling away the layers of the lives of Phillip and Sylvia, one by one. Sylvia displays a mix of sexuality and vulnerability, shame and longing. Phillip Gellburg – “it’s Gellberg not Goldberg” – is perhaps the most complex of the two. Richard Woodward gives us a night of angst and self-doubt as the successful head of mortgage foreclosures as the only Jew employed in the history of Brooklyn Guarantee and Trust. Phillip has a love-hate relationship with his Jewishness, proud that his son is a West Point graduate and the only Jewish officer in the Army instead of the usual Jewish career options of lawyer, doctor . . . There is almost shame at being Jewish and he has a mission of distinguishing himself, and his son, from other Jews. While his wife becomes almost hysterical with grief at the Nazi treatment of Jews Phillip shows traits of anti-semitism, accusing German Jews of refusing to take ordinary jobs, demanding only highly paid positions. He doesn’t just have a chip on his shoulder, it’s a whole 25kg bag of spuds, asking in despair at one point: "Why is it so hard to be a Jew?" As Dr Hyman delves deeper into the relationship Sylvia slowly reveals her secret hopes and fears and the hidden relationship with Phillip, while Phillip becomes more and more agitated with an anger that spreads into his professional life. He can’t live without her but doesn’t seem able to show it. He is quite differential to his boss, Stanton Case, played by John Harris when we first see them together but that becomes become tense as his life is unravelled by the doctor until an explosion, when the confounded Case is accused of treating Phillip differently because he is a Jew, sees Gellburg collapse with a heart attack to take us into a dramatic climax. Roger Warren gives a fine performance as Hyman, who trained in Heidelberg because US medical schools did not admit Jews. He shows understanding for Phillip and compassion, even affection for Sylvia – something noted by his wife, Margaret, a delightfully busy performance by Amanda Grant , who perhaps remembers the good doctor’s rather less virtuous reputation as a ladies’ man in his youth. Her answer to everything is a nice cup of . . . cocoa. And steady as a rock we have Esther Roden as Harriet, Sylvia’s sister, who hardly leaves her side while giving Hyman avenues to follow. There are nice flare-ups of emotion, bouts of despair and spates of doubt as we see the lives of Gellburgs stripped bare by a doctor both fascinated and a little embarrassed by his probing and discoveries. Miller never writes about just what you see on stage. His later works are regarded as good rather than ground breaking but Broken Glass shows Miller’s deft skill in writing for the stage, creating two hours of gripping tension from just a flawed relationship. Set in New York in 1938 the play entwines several threats from the personal level of relationships, to the reaction to the rise of Nazism in Germany by the USA, a country where anti-semitism was second only to racism when it came to discrimination. Is it a question of too little being done or nothing that could be done? It is worth remembering that just as Miller’s The Crucible, about the Salem witch trials of the 1690s, was an allegory for McCarthyism in the 1950s, Broken Glass, about the treatment of Jews by the Nazis in 1938 was an allegory for the Yugoslav Wars and its ethnic cleansing which had started in 1991. Miller writes his plays on one stage but on many levels. There is the inherent problem with plays set in America of the accent, which, with so much US dramas on our TV, means we all know what authentic New York intonations sound like, but in general the cast managed passable accents, and, much more important, they kept them consistent which allows an audience to become comfortable with the voices and concentrate on the words and the acting. A simple set could perhaps have been made simpler to cut down on scene changes but in general it worked well and Andrew Cooley’s direction kept the tension and pace moving along. There are nice touches such as the pictures on a rear video wall of headlines in US papers and photographs of the treatment of Jews in German along with haunting Jewish songs by Birmingham cantor Jacob Fifer as incidental music between scenes with a damaged chair surrounded by rubble and lit by a single spot.